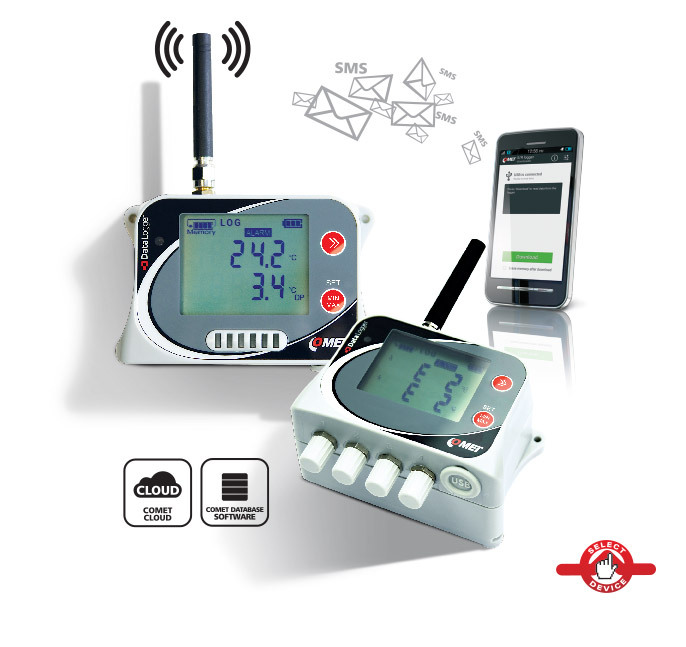 DATALOGGERS COMET measure physical parameters such as TEMPERATURE, HUMIDITY and DEW POINT. Some models have analog input for measuring DC CURRENT or DC VOLTAGE. These allow to measure other physical quantities with third party sensors. 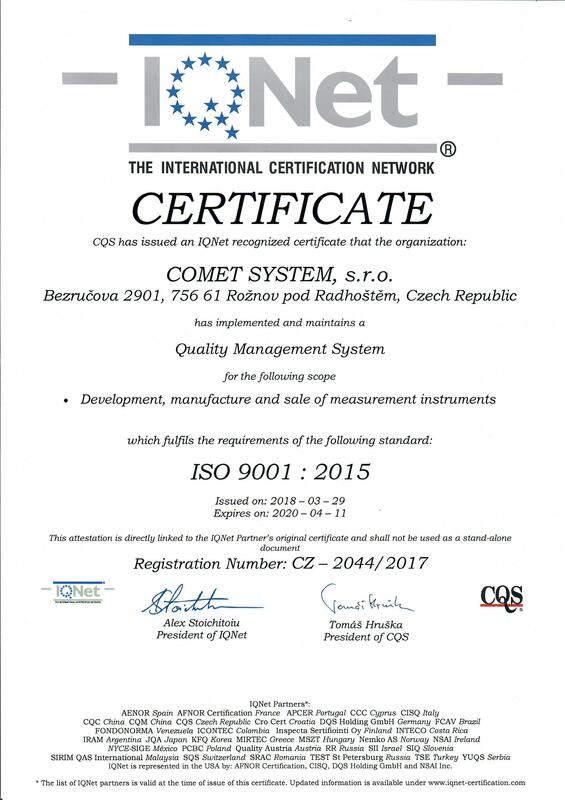 Comet system produces also two-state recorders for monitoring the functions of the machine, running of engine, door open / closed, to control technology procedures, etc. These two-state recorders are also available in combination with the measurement above variables, as well as in combination with PULSE counter for monitoring of water, gas and electricity consumption. The current measured values are stored at preset intervals from 10 seconds to 24 hours. You can store up to 32 000 values. Logging mode can be adjusted as non-cyclic, when logging stops after filling the memory, or cyclic, when the oldest recorded values are overwritten by new ones after the memory is full. Further, the recording can be set to run only when the measured value is outside preset alarm limits. The datalogger can also record MIN / MAX values. For each measurement channel can be set upper and lower limits. In case the limits are exceeded an alarm is indicated as the value blinking on the display. You can select continuous alarm mode when the alarm is active only if the critical situation persists, or memory mode when an alarm is still indicated after measured conditions return to normal. The recorded data can be transferred to a personal computer in several ways for further analysis. 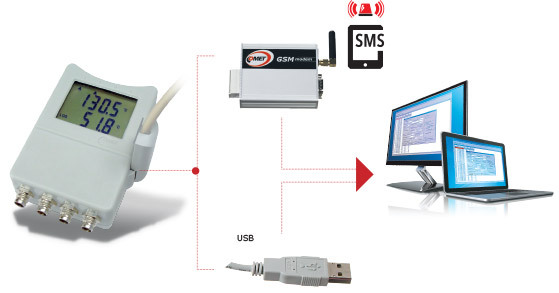 USB or RS232 communication adapters can be used for short distances, it is necessary to bring the logger to the PC. If it is necessary to download data on the place where logger is mounted the data can be stored in a tablet or smart phone using the Android app. 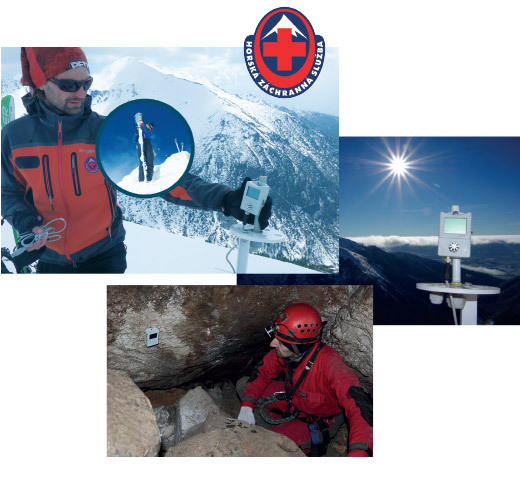 The measured data can be also accessed remotely via GSM modem. 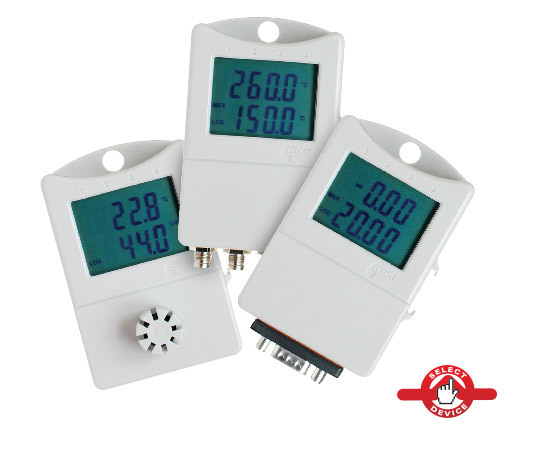 DATALOGGERS COMET measure physical parameters such as TEMPERATURE, HUMIDITY and DEW POINT. 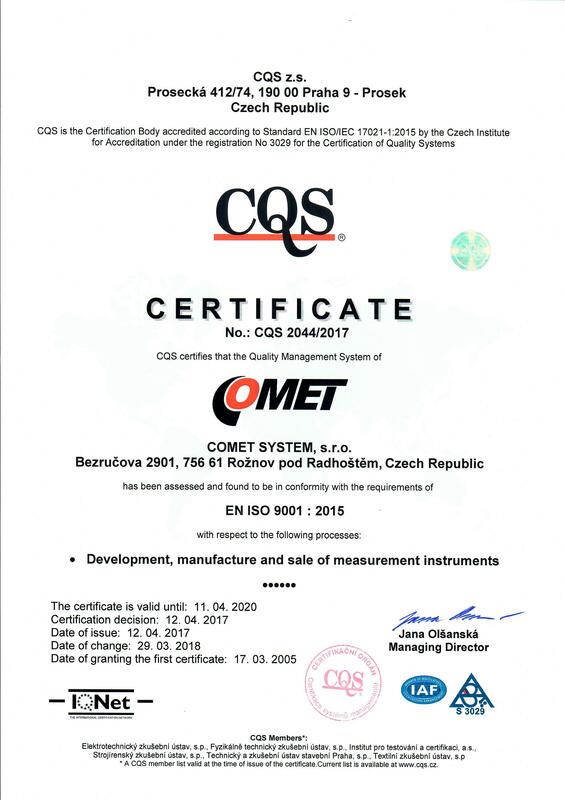 Comet system produces also two-state recorders for monitoring the functions of the machine, running of engine, door open / closed, to control technology procedures, etc. These two-state recorders are also available in combination with the measurement above variables, as well as in combination with PULSE counter for monitoring of water, gas and electricity consumption. The current measured values are stored at preset intervals from 1 seconds to 24 hours. You can store up to 500 000 values. Logging mode can be adjusted as non-cyclic, when logging stops after filling the memory, or cyclic, when the oldest recorded values are overwritten by new ones after the memory is full. Further, the recording can be set to run only when the measured value is outside preset alarm limits. The datalogger can also record MIN / MAX values.